The announcement event of the biggest-ever Ishinomaki Stand Up Week which will start from July 25th hosted by ISHINOMAKI 2.0 was held at Herman Miller's only directly-managed retail store in the world. 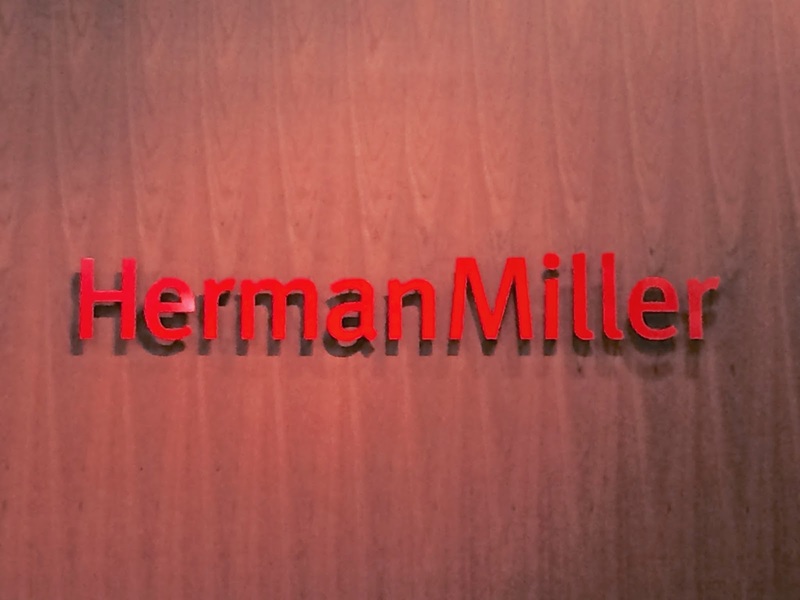 Herman Miller has been supporting Ishinomaki since the city was hit by the 311 tsunami in 2011. Matsuzaki-san, President of Herman Miller Japan, explains their longstanding relationship with Ishinomaki Laboratory, one of key players of Stand Up Week. The store is at a great location in Marunouchi, Tokyo. It's full house. And every audience can enjoy sitting on a Herman Miller chair. Ashizawa-san, an architect who leads Ishinomaki Laboratory, is giving the latest update on his team. Going back to Tokyo on the Hayabusa bullet train. Its top speed is 320km/h and it runs from Sendai to Tokyo in about 1.5 hours. Insanely fast. This train is the reason why no airline wants to relaunch Haneda-Sendai route. I joined the annual meeting of ISHINOMAKI 2.0, a community building organization in Ishinomaki, held at IRORI Ishinomaki. Everybody in the team is now at full throttle to get prepared for our biggest event ever, Stand Up Week 2014, which will start from July 25th. 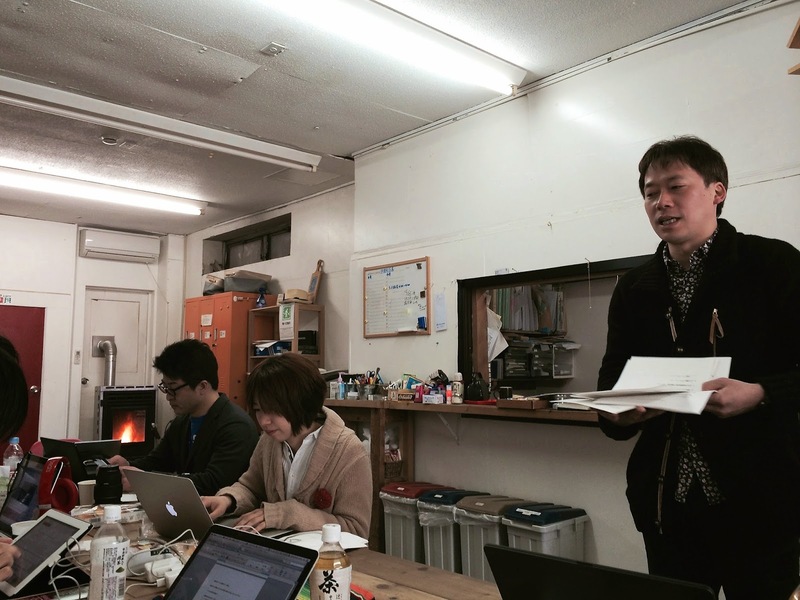 In this meeting, I was appointed as one of board members of ISHINOMAKI 2.0. I first participated in their activity a few months after the 311 tsunami hit the city and almost three years have passed since then. It's a great honor for me to be a part of this amazing team who is making a difference in the community and building city's future beyond recovery. Team dinner at Shikisaisyoku Imamura at Aitopia Avenue in Ishinomaki. This Japanese restaurant is run by chef/owner Imamura-san who came to Ishinomaki as a volunteer supporting city's recovery from the 311 earthquake and tsunami. While he was working as a volunteer, he decided to stay in this city and make his dream of having his own restaurant come true. Then he renovated a tsunami-affected store with his peers completely by hand using local materials and created an amazingly comfy dining space. 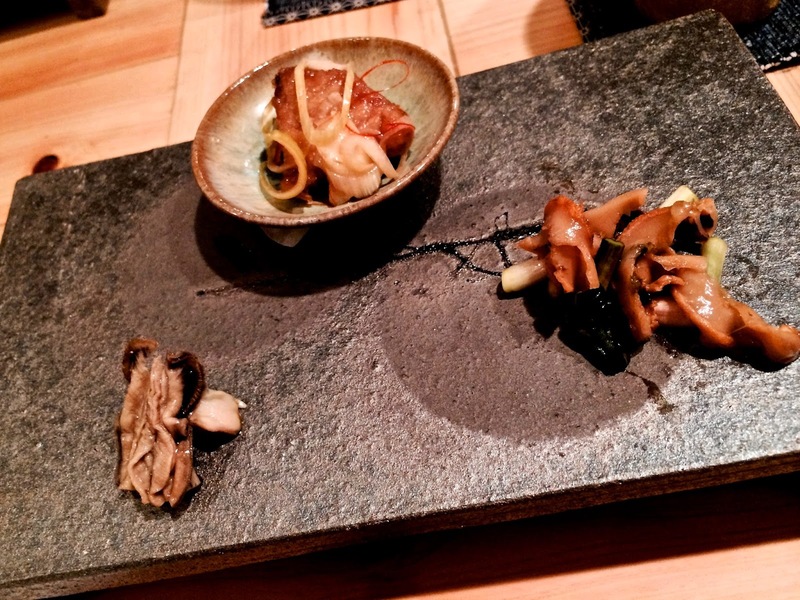 It's a quite delightful experience to enjoy the sophisticated local flavor in a space filled with passion, friendship, and hope for the future of Ishinomaki. 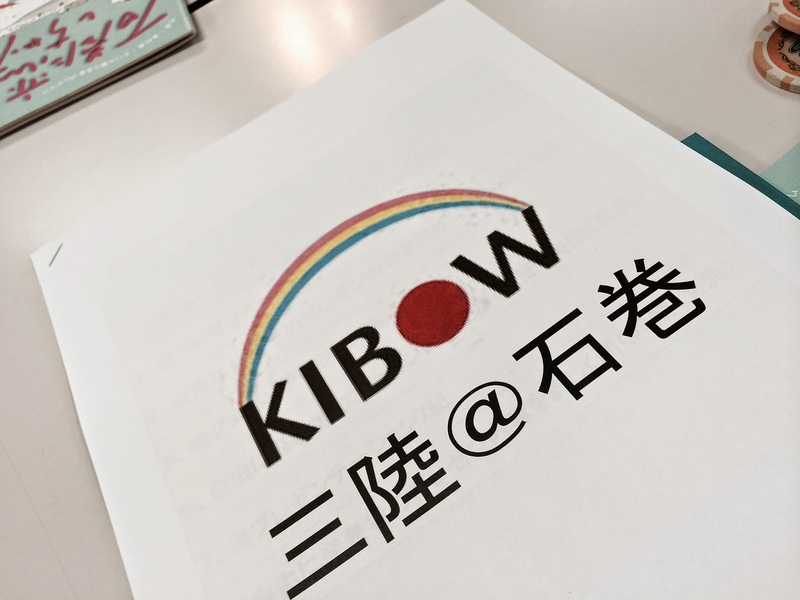 I attended Ishinomaki round of presentation session organized by KIBOW, an organization supporting regions affected by the 311 earthquake and tsunami. In this session, 20 teams from Sanriku and Ishinomaki areas pitch their project idea which can bring positive changes in the region and audiences vote for the team they like to support. Winners can get grants they can use for their project. And this is one of projects I'm supporting. Ishinomaki's local rapper Gakudan Hitori enthusiastically presented the idea to create a discotheque in downtown Ishinomaki. This new creative shrine, which will be built renovating a tsunami-affected bar at Kotobuki-cho by hand work, is now named "Kotobuki Dance Hall". Back in Ishinomaki on a beautiful day. As always, I checked into "The Waldorf Astoria of Ishinomaki". And as always, they gave me this room. Upgraded to Deluxe Suite which is even bigger than the suite they gave me last time. This room comes with a powder room and two toilets. Thank you Westin for spoiling me. 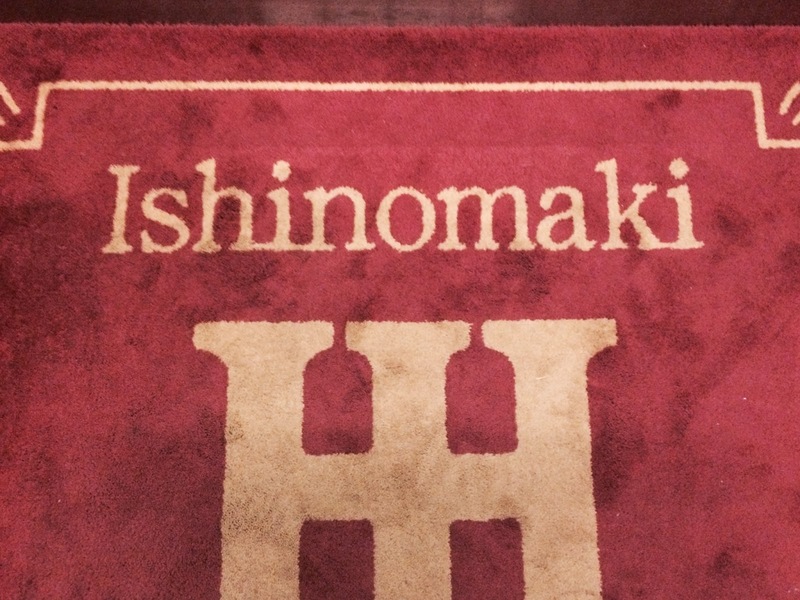 My 3rd trip to Ishinomaki this year. Again, I got the whole car to myself all the way to Sendai on Yamabiko bullet train. The cabin is amazingly quiet and a dedicated attendant lady brings me drinks and a meal. Probably this is the best office on the rail. 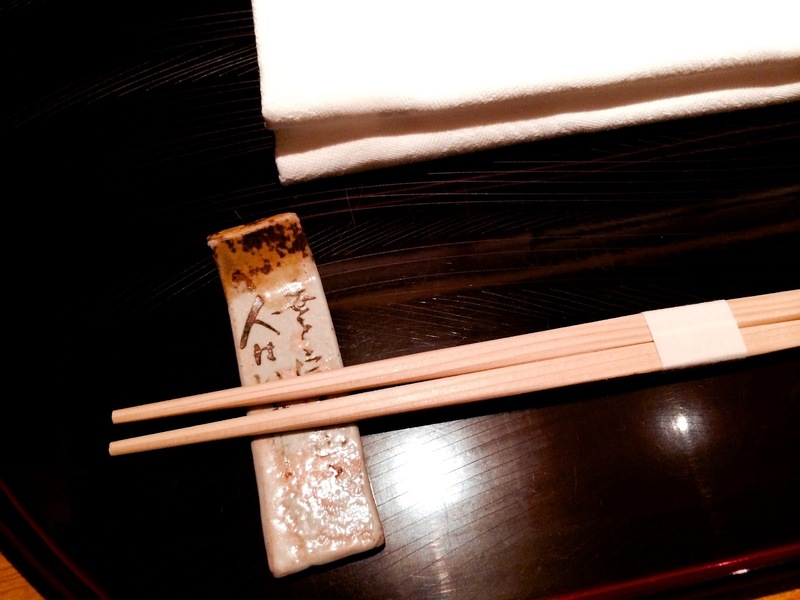 Enjoyed a relaxing dinner in a private dining room of Hishinuma, an authentic Japanese restaurant in the middle of Roppongi. The owner chef Mr. Hishinuma himself served us and that made me feel like I was invited to the artist's studio. 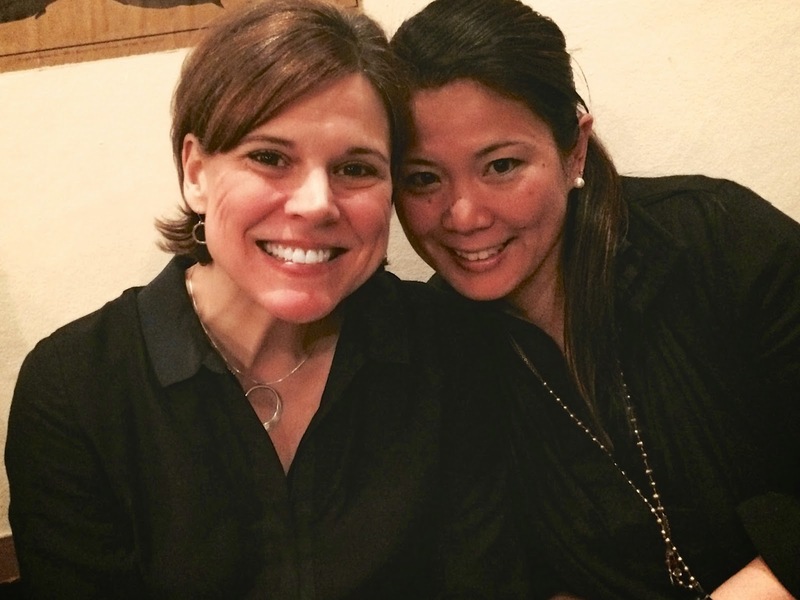 Another Wieden+Kennedy Tokyo reunion was held at Kaikaya, WKer's favorite in Shinsen, welcoming Trish who is now at Wieden+Kennedy Portland. With Mako. LTNS! Kamitani-san a.k.a. KK, my mentor of copywriting both at Dentsu and at WK Tokyo, also joined. With Yuka. I found Airbus's official sticker for Air Asia on Kaikaya's wall. 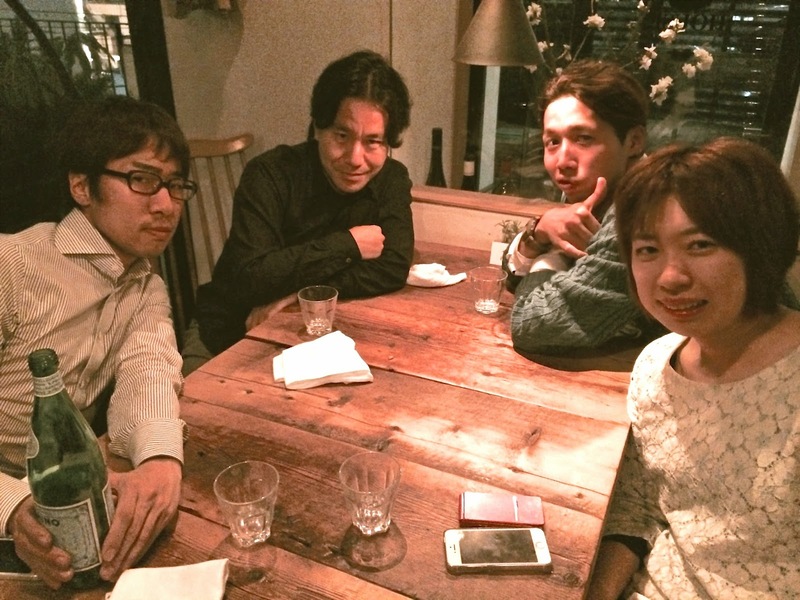 I joined the first meeting of Kotoba Juku (School of Words) held in House, a restaurant in Nishiazabu. Kotoba Juku is a joint spin-out team by ISHINOMAKI 2.0, the community building organization I'm involved in which was founded in tsunami-affected Ishinomaki City, and ITNAV, the organization nurturing the next generation of IT engineers in Ishinomaki. The focus of the team is to deliver creative solutions such as copywriting, naming (that's why they call it School of Words), and design to the community and its ongoing projects. Several local high school students have also joined the team and ultimately they want to become a grass-roots creative boutique which can make Ishinomaki a creative city like Portland, Oregon. Creativity of Ishinomaki keeps spreading. From right: Kyoko-san from Ishinomaki 2.0, Shimawaki-san a.k.a. Mitchey from ITNAV, and Tokyo-based copywriter Nakajima-kun. 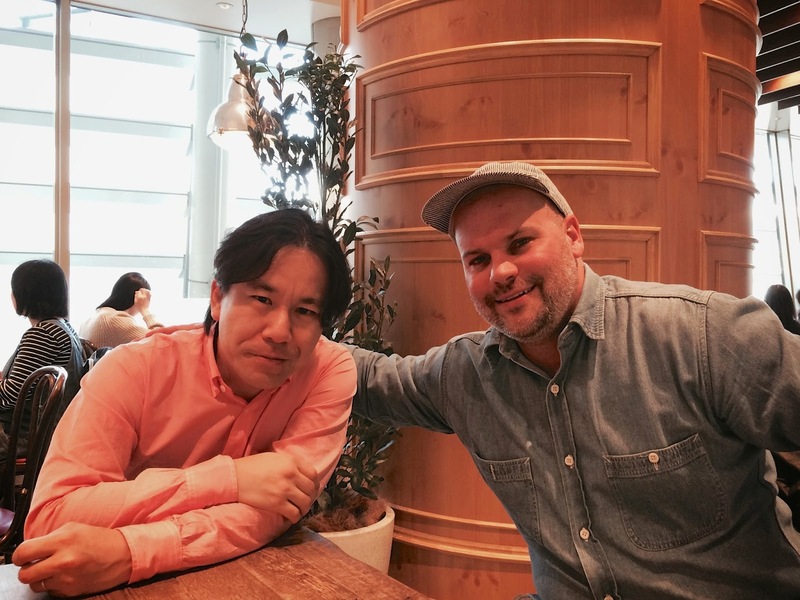 Driscoll, my ex-colleague at Wieden+Kennedy Tokyo and the artist who draw the painting of Speedbird 747-400 displayed on the wall of my hallway, visited Tokyo. Masaru, my current colleague and also an ex-WKer, joined and it eventually became like a mini WK Tokyo reunion. I asked Driscoll to sign on the second painting I got from him. This piece portrays Airbus A340 of Iberia. 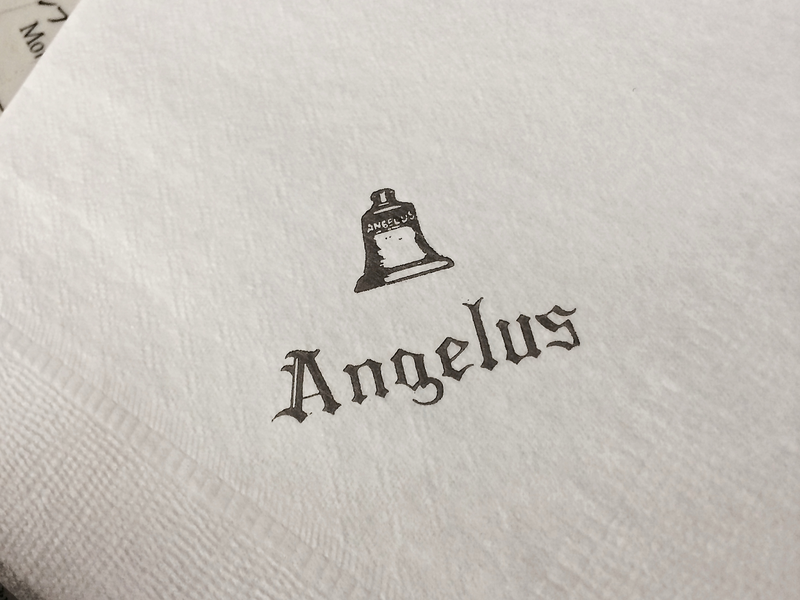 After-dinner coffee and dessert at Angelus, one of Asakusa's oldest cafe who was opened in 1946. This place has been my favorite since childhood. Welcomed by a drum bang, we started sukiyaki night at Yonekyu Honten who has been in business for over 120 years in Asakusa.